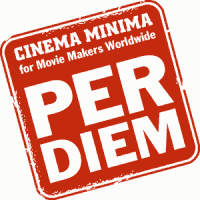 Visit Cinema Minima Per Diem blog for the latest news. Movie makers should pay attention to the elegant storytelling of this 1966 French film by Claude Lelouch, which stars Anouk Aimée and Jean-Louis Trintignant. The real “killer” moment in this picture — which otherwise seems so insubstantial as to be hardly a movie at all, but a daydream of a movie — is the scene in which the man and the woman make love. At the time it was an extraordinary, even audacious moment in a movie. Here’s why. The sixth edition of the annual Lola Kenya Screen film festival has concluded up in Nairobi with the best children’s film and best youth films going to Belgium and Madagascar, respectively. Lola Kenya Screen productions — HAPPY TIMES by Elaine Nesbitt; MANANI OGRES by Samuel Musembi, Joseph Hongo, Marcus Kang’ethe and Norrick Mwangi; and SANTOS THE SURVIVOR by Rupinder Jagdev — have been selected for the Ready Action! competition section of the 6th Busan International Kids’ Film Festival in Busan, South Korea. Seven other Lola Kenya Children’s Screen productions shall show in the Kids For Kids Festival section as part of the global Kids For Kids Festival programme. The Lola Kenya Screen — audiovisual media festival, skill-development mentorship programme and market for children and youth — is calling upon interested participants to submit quality films to the sixth edition of the annual event that will take place 2011 August 8-13 in Nairobi, Kenya, east Africa. Nairobi will come alive on 2011 February 25 and 26 when leading film practitioners in Africa and the Diaspora converge on the Kenyan metropilis for the 7th edition of the annual Africa Movie Academy Awards (AMAA) Nomination Night and Music Concert. The Seventh African Movie Academy Awards Nomination Night will take place on February 12, 2011, in Nairobi, Kenya. Filmmakers — from all over Africa, and from the African diaspora worldwide — will attend the event. Over 300 African motion pictures had been submitted in 2010 for consideration by the Africa Film Academy. Iran sentenced independent filmmakers Mohammad Rasoulof and Jafar Panahi to six years in prison for speaking against the regime and for making films of which the government does not approve. Directors Abbas Kiarostami, Francis Coppola, Martin Scorcese, and Steven Spielberg have called for the release of the two artists. The Lola Kenya Screen audiovisual media movement for children and youth in eastern Africa marks five years since its founding in 2005 as an audiovisual media festival, skill-development mentorship program, and film market. Copyright ©1997–2011, ©2012 Cinema Minima for Movie Makers Worldwide. All rights reserved. Reproduction in whole or in part, without license or written permission, is strictly prohibited. Contact the Publisher for permissions or licenses. “Cinema Minima” is a service mark and trademark, and “For Movie Makers Worldwide” is a service mark, which are used under license. The Cinema Minima logo, and the Cinema Minima logotype, are trademarks and service marks used under license.